​The White House will not act against the federal prosecutors who pursued felony hacking charges against computer prodigy Aaron Swartz ahead of his 2013 suicide, notwithstanding the calls of thousands who appealed for executive action. Two years to the week after Swartz, 26, took his own life while waiting to be tried in federal court on alleged Computer Fraud and Abuse Act (CFAA) violations, the office of United States President Barack Obama issued a response on Tuesday that answers two petitions posted on the White House website in early 2013, in which the prosecutors who charged the hacker were asked by thousands to be reprimanded over accusations of overreach. The petitions, bothposted to the White House’s “We the People” online open submission platform, asked that the Obama administration remove from office US District Attorney Carmen Ortiz and Assistant US Attorney for Massachusetts Stephen Heymann, the two prosecutors who led the probe into Swartz that preceded his unexpected suicide in January 2013 that was prompted, according to some, by the federal investigation that posed the possibility of putting the hacker behind bars for several decades. 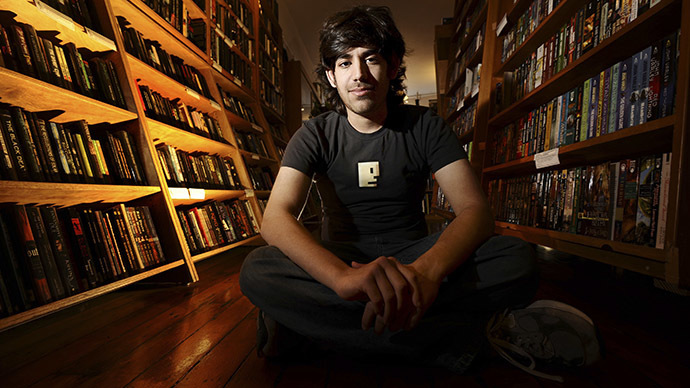 Swartz, an acclaimed programmer credited with helping code Reddit.com, among other projects, was arrested in January 2011 and charged two years later with violations of the CFAA after he allegedly downloaded scholarly journal articles, illegally, from a laptop he hid in an electrical closet on the campus of the Massachusetts Institute of Technology. A potential guilty conviction carried a maximum sentence of 35 years in prison, but Swartz hanged himself before his trial could begin, prompting calls from activists and academics close to the case to accuse Ortiz and Heymann of prosecutorial overreach. Petitions asking for the removal from office of Ortiz and Heymann each received tens of thousands of digital signatures – well beyond the window required to garner a White House reaction – but went without response until this week. “Aaron Swartz's death was a tragic, unthinkable loss for his family and friends. Our sympathy continues to go out to those who were closest to him, and to the many others whose lives he touched,” begins the White House response. “As to the specific personnel-related requests raised in your petitions, our response must be limited. Consistent with the terms we laid out when we began We the People, we will not address agency personnel matters in a petition response, because we do not believe this is the appropriate forum in which to do so,” it concludes. Heymann, the assistant prosecutor in the Swartz case, was previously accused of overreach when he spearheaded a federal investigation years earlier that ended with another individual, Stephen Watt, serving two years in prison after he pleaded to a complaint that included charges of conspiracy to commit computer fraud, wire fraud, identity theft and money laundering related to software he coded but was not accused of actually using. His co-defendant, Albert Gonzalez, is serving a 20-year prison sentence for executing that program in order to steal financial data from department chain TJX. "This is a clear example of the thin yellow line protecting rogue prosecutors – public servants who prey on harmless citizens,” Watt told RT’s Andrew Blake on Wednesday this week. “But unlike their counterparts in law enforcement, these bullies are too cowardly to risk the repercussions of becoming boots on the ground,” added Watt, who today works as a privacy software developer in an effort to help cover the $171.5 million restitution he was ordered to pay after reaching a plea agreement with Heymann’s office in 2008. Jonathan James, a 24-year-year-old hacker investigated by the Secret Service over the TJX hack but never charged, took his own life in May 2008. "I honestly, honestly had nothing to do with TJX," James wrote in his suicide note. "I have no faith in the 'justice' system. Perhaps my actions today, and this letter, will send a stronger message to the public. Either way, I have lost control over this situation, and this is my only way to regain control." The White House has been on the receiving end of numerous calls for CFAA reform, particularly in the two years since Swartz committed suicide on January 11, 2013. Efforts to revise the hacking legislation by way of amending it with a provision introduced in honor of Swartz have been without result, however, and failed to advance during the last congressional session. Previously, US Attorney General Eric Holder called the Justice Department's pursuit of Swartz “a good use of prosecutorial discretion."